The aerodynamics of the nose cone, the tilt of the rear spoiler, road grip, fuel mix, gear ratio, downforce. Most of us would be left baffled by this terminology but to a racing and motor sports enthusiast, this represents the split-second advantage their favorite team might have to win the race. 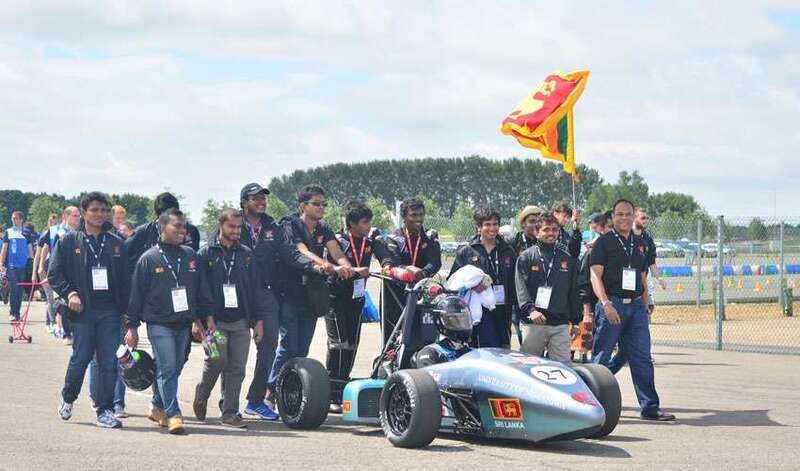 For Team SHARK Racing, a high performing project team with advanced design capabilities from the University of Moratuwa, this means a chance to test classroom learning against their peers from around the world, in a real race situation at the coveted Formula Student UK 2018. It also means that these talented, young aspiring engineers get an opportunity to design and race the car they built from scratch in Silverstone, the home of the British Motor Racing. 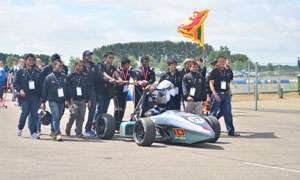 Daily Mirror Life spoke to two of Team SHARK Racing’s members Vinura Mannapperuma and Nipuna Liyanage to find out more about the Formula Student UK World Championship and the amazing car that they are in process of building at a fully equipped workshop at DIMO's premises in Siyambalape. “Building a race car provides us as a team the perfect platform to put in to practice complex and interdisciplinary engineering. At the end of it all, a new racing car comes to life. We have taken part in the competition on two previous occasions and each year the specifications for the car we need to build, changes. This time we are building a lighter weight car which is 210 kilograms with an improved engine Yamaha MT07 700CC engine with custom tuned improved CF intake, and exhaust, aircraft grade materials, aero package, electronic throttle control with a data acquisition system. “Organized by the Institution of Mechanical Engineers, with the aim of improving the world through engineering, the Formula Student UK competition encourages student teams from all around the world to compete in one of Europe’s most established educational motorsport competitions. 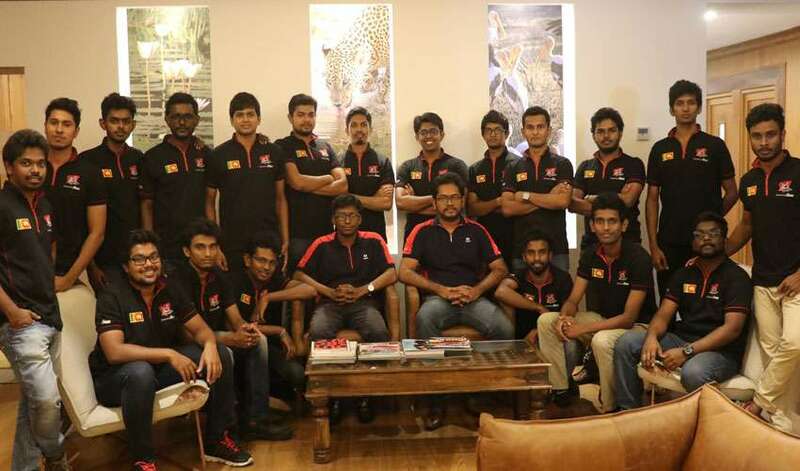 The teams, which consist of undergraduates, are challenged to design and build a Formula type single seat racing car, followed by FSAE rules and regulations specified for Formula Student Competition. “The first time we took part in this competition was in 2016. The first car we developed for the competition was DIMORA-P1. The car featured a 6-speed paddle shift gearbox, pull rod suspension and a 600cc engine. It also has 70 bhp and a 5-point harness racing seat belt. “Our team has 19 members. 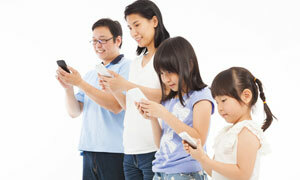 All 19 of them have different personalities and come from different backgrounds. But we have a system that works. 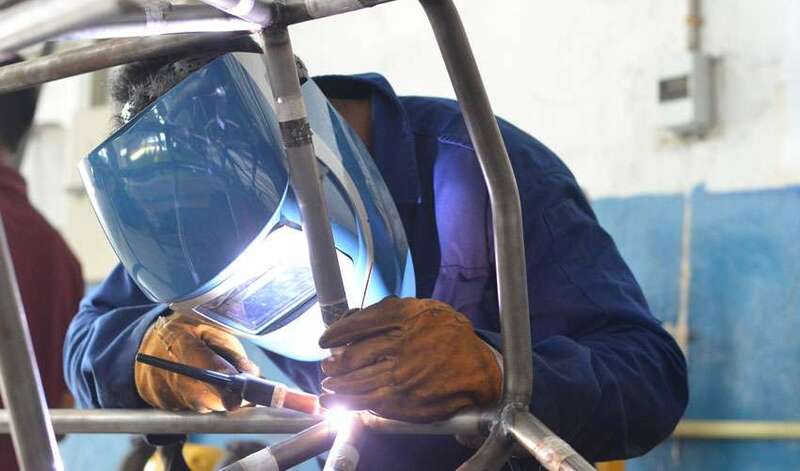 Each team member takes the responsibility for a certain aspect of the car and then we get the final product done. Except for the engine, we construct everything else from scratch.